Ankhen Bheeg Jati Hain Poetry Read online or download in PDF format for offline reading, Ankhen Bheeg Jati hain is very beautiful collection of romantic Urdu poetry and ghazals. Syed Wasi Shah is very famous romantic poet of Pakistan. Pakistani youngsters are very fond of his romantic urdu poetry. Syed Wasi Shah already writes many Urdu poetry books. romantic poetry, love poetry and sad Urdu poetry are very famous poetry topics in Pakistan. 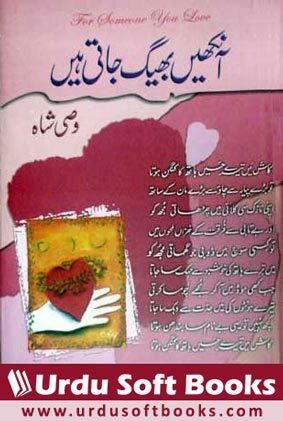 Read online or download in PDF format for offline reading, Ankhen Bheeg Jati hain is very beautiful collection of romantic Urdu poetry and ghazals. Syed Wasi Shah is very famous romantic poet of Pakistan. Pakistani youngsters are very fond of his romantic urdu poetry. Syed Wasi Shah already writes many Urdu poetry books. romantic poetry, love poetry and sad Urdu poetry are very famous poetry topics in Pakistan. You can download Ankhen Bheeg Jati hain by Syed Wasi Shah in PDF format or read online using below links. Your feedback and comments will help us to improve our Urdu poetry books collection.